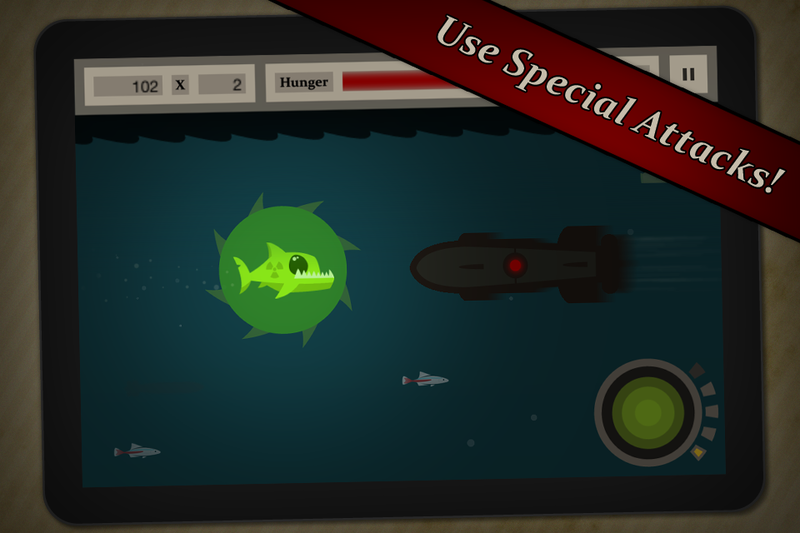 In Hungry Piranha you need to survive as long as possible to achieve high scores. You swim through the ocean snatching prey while mines and torpedos try to make your life miserable. Luckily you don’t have to dodge them all, special attacks can make your rampage a lot easier. Because of a failed human experiment, an ordinary piranha (you) changed into a supernatural piranha with everlasting hunger. Somehow you broke free to the ocean. Because you can potentially eat all existing ocean life, you're a threat to the fishing economy, so the military try to take you out when you are on your rampage. 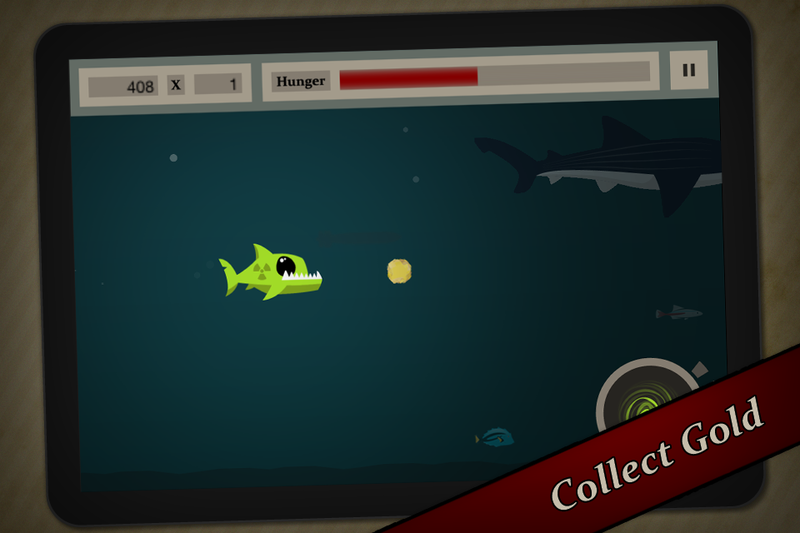 Hungry Piranha is a great game to kill some time. Support me: your 5-star reviews will keep the updates coming! -A brand new game mode! Version 2.0 has finally arrived!! Compare your score to the rest of the world, and try to beat theirs, unless of course you are at the top of the game! New music has been added to the game. In the shop section at the main menu you can listen and buy your own music to enjoy while feeding on nearly everything you pass. 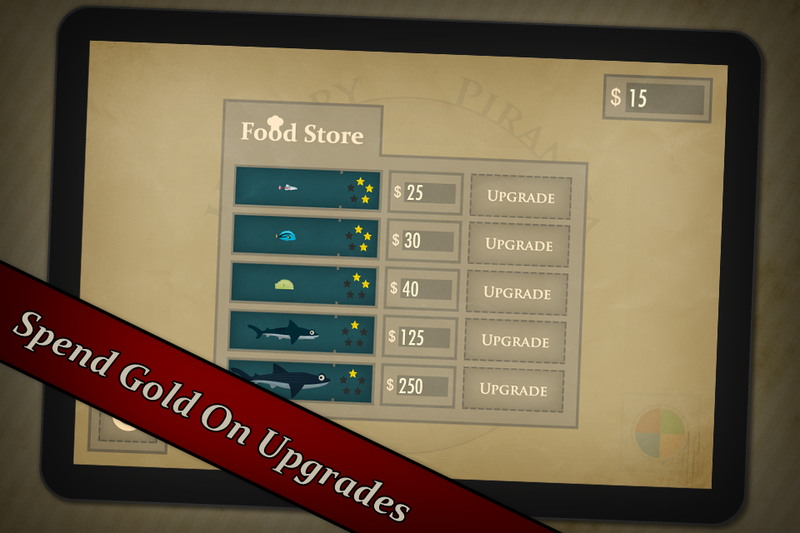 Everything in the game has been graphically upgraded, so you can visually enjoy snatching prey even more. The main menu has a great new design. A number of stats have been added to the game, so you can see how well you did. And of course now you can brag about your great stats to your friends. A new special attack has made it into the game. Your prey isn't safe anymore when you use this power. -A pause-option has been added to the game! You can now pause the game when you wan't to take a sip of your coffee. The Hungry Piranha now bites automatically when it is on top of its prey. This really increases the game speed, and makes it even more fun to play. Because lots of Hungry Piranha players suggested the game needed new controls I added a different way of playing Hungry Piranha. Instead of tilt controls you control the Hungry Piranha by touching on the location you want to move to. This way of moving has been tested extensively and makes the game even more fun to play! Some players on older devices experienced some frame rate issues, this problem has been solved. These are just a fraction of the improvements the game has received. 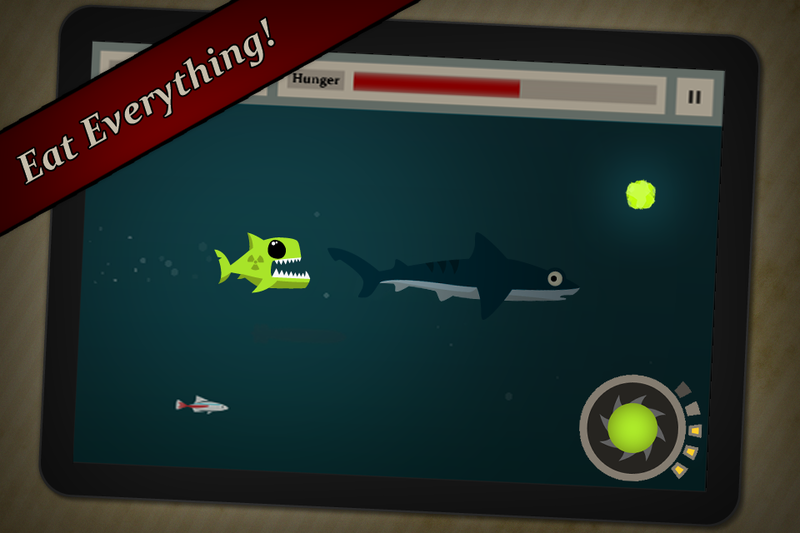 Hungry Piranha has been rebuilt from scratch to improve gameplay, physics, graphics and fun. Therefore you will lose your old save-date when you update. 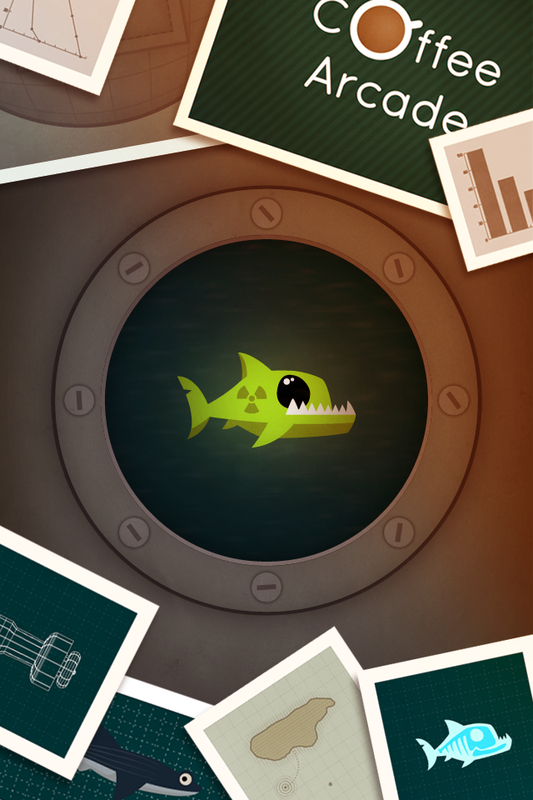 But believe me… Hungry Piranha V2.0 is totally worth the trouble!